The Google Keyword Planner tends to get a bad rep in the world of PPC and SEO. It’s really not its fault; Google does its best to make the tool as useful and relevant as possible while keeping it free. 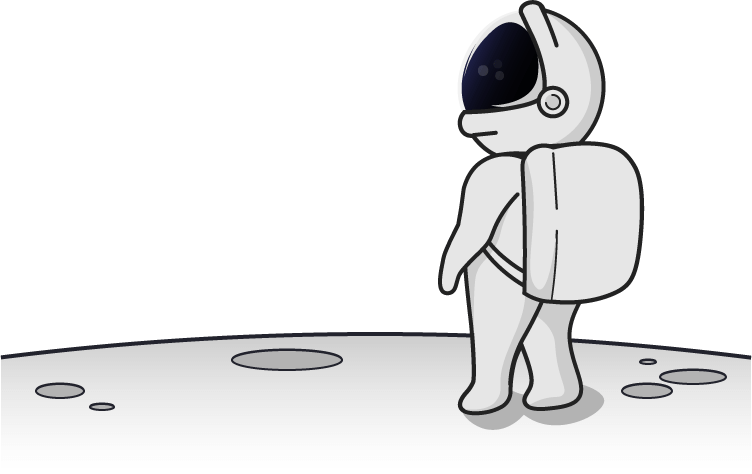 Other companies decided to take the world of keyword research and expand on the software available – which was a novel idea. Then they decided to charge for their research tools. 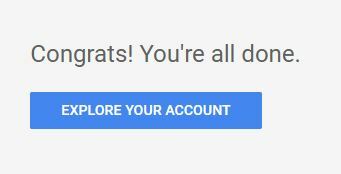 Sure, everyone needs to make a living, but Google keeping their keyword planner free means that they’re the real MVP. I’m just saying that the negative reputation around the Google Keyword Planner is a little unfair. Not only can it be used completely free (we’ll show you), it has useful features that you’ll actually want to use (again, we’ll show you). When you run ads on the Google Search Network, you’ll be placing your bids on keywords; Google will trigger your ads based on these keywords that you tell it you want to focus on. The performance of the account ultimately comes down to your strategy of keywords that you choose (among other factors such as bidding, ad copy, etc.). Before you even open the Google keyword planner, you’ll want to do some prep work. Building a base idea of words around your business is the first place to start. Start by making a list of words to describe what you’re selling – your product or your service. Start simple. If you’re a chiropractor, then start with “chiropractor”. If it simplifies the process, try describing what you sell to another person. The words you put on the list are words that you’d like someone to search in Google and have your company’s ad appear for that search. Once you have a solid list, you can move on to working with the keyword planner. First things first, let’s make sure you can access the keyword planner. You will need a Google Ads account; before you throw your hands up in despair – remember, we promised to show you how to use this tool for free. Now enter your credit card number here _____________________. Just kidding. If you don’t have a Google Ads account, click here to create one. However, if you have a Google account, you can click “SIGN IN” in the upper right-hand corner to get started quickly. 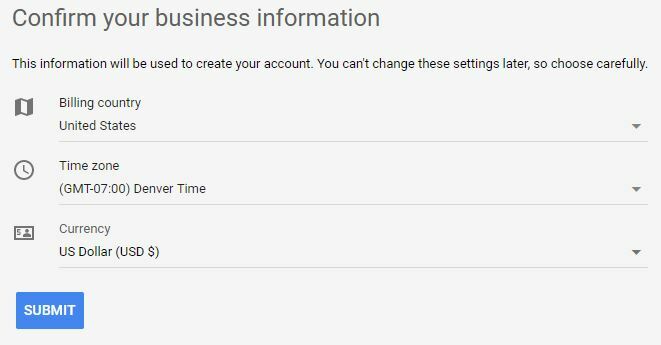 If you do have a Google Ads account already set up, you can access the Google Keyword Planner from your account, or follow this link for quick access. So You Want to Check Out the Tool for Free? Sorry. I had to get that out of my hair. 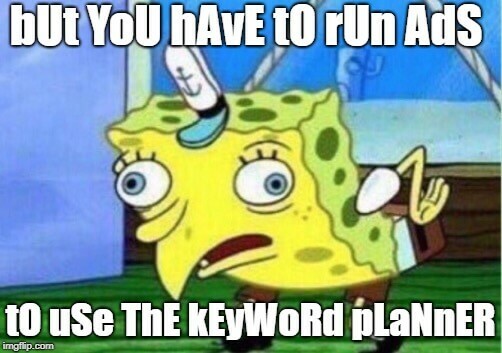 Yes, actually, you can use the keyword planner without running ads. No credit card required. I promise. Here’s how. 1. From this link, click “SIGN IN” in the upper right-hand corner. 2. You’ll be taken to this screen, where you can then (perhaps) fib to Google and tell it that you are Experienced with Google Ads. 3. 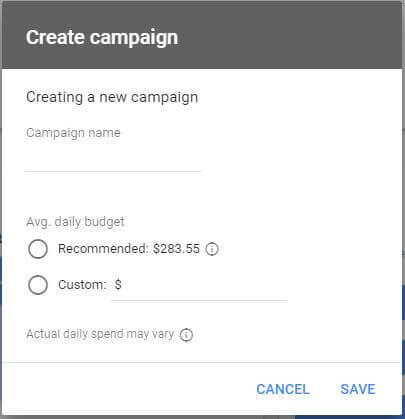 Google will then ask you to create a campaign type. Don’t worry, you can select “Create an account without a campaign” to move along smoothly. 6. You’ll be taken to your dashboard where you will select your Tools and Keyword Planner under the Planning column. If you’ve read this section to get to the keyword planner, then skip the next section and continue on to Using the Google Keyword Planner. If you’re already running Google Ads campaigns, then the Google keyword planning tool is just a standard part of your account. You can either access it here. Or you can access it from your Google Ads account by going to your Tools option, navigating to your Planning column, and finding the Keyword Planner option. Find new keywords – This is where Google will give you ideas for keywords to bid on and add to your account. Get search volume and forecasts – This is where Google will give you past information on your keywords and predict how they will perform in the future. Both of these options are part of the Google keyword planner; they just modify what you see based on what you’re looking to use the keyword planner tool to accomplish. Get search volume and forecasts will open a section of the screen where you can type in your keywords and phrases or upload a file with the keywords in it. At first glance, the Google Keyword Planner dashboard has an insane amount of data for you to look at. Well said, little chocolate nun; let’s break it down. 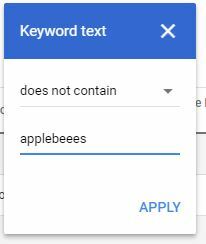 Keyword idea – This is where you can update your list of words to Google and see the keyword ideas that it generates. You can see past data and future predictions here. Plan overview – This is where you can see an overall layout of a plan that you’d like to add to your Google Ads account. Ad groups – You can see the ad group organization that you’ve set up in your plan here. Keywords – The keywords that you’ve added to your plan appears here. Locations – You can add locations to your plans to predict how keywords will perform in different areas. Follow the numbers, and we can see the options that you have for the Google Keyword Planner. 1. Plan settings – Think of these as the account settings that you can set; changing any of these will affect the data that you see below. Locations – You can choose where you’ll be targeting your ads here to get a realistic preview of how the ads will perform. If you’re a local business that’s just getting started, make sure to set this up before you start looking too closely at the data. Language – If your business involves focusing on a certain language, then you’ll want to make sure it’s set properly. Search Networks – It’s no secret that keywords perform differently across search networks. If you’re considering running ads on Google vs. running ads on Google plus its search partners, you can get an idea of performance here. 2. Keyword ideas search bar – Here is where you can change the list of words and/or pages you gave Google. 3. Download Keyword Ideas – For Excel whizzes, downloading data into Excel makes everything better for faster sorting and organizing. When you download the report, it includes the monthly search information for each keyword for you to view. 4. 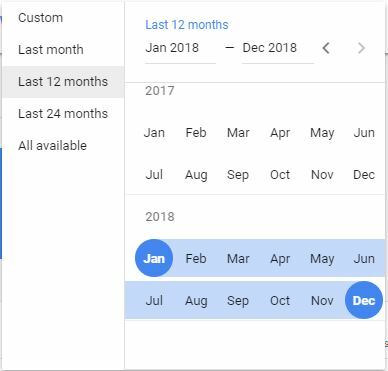 Date Range – While Google’s default date range of 12 months is pretty good for viewing the last year of data, you can also adjust it from a single month of data to 24 months and even longer if you really want to see the trends. 5. The Graph – Easily the most eye-catching part of the dashboard, the graph will show the data that you’d like to see in a visual presentation. You have three options for viewing the graphs. 6. The Graph Options – There are three ways you can view the visual data. Search volume trends – The default for viewing your information is in search volume trends – broken into total trends vs. mobile trends. Breakdown by platforms – This pie graph allows you to view the average number of monthly searches by mobile, tablet, and desktop. Breakdown by locations – Here you have a few more options for breaking down your pie graph into location information. Depending on the overall location you’re viewing on the plan options, you can target countries, cities, congressional districts, counties, and much more. 7. Your search term table – Google Ads knows that it can show you far too much information sometimes, so they implemented filters and options to change your columns. 10. Keyword Ideas – Under the search terms that you’ve entered, Google gives you a thousand or so related keywords depending on your filters, search terms entered, and Google’s algorithms. This will be covered more in using the Google Keyword Planner, but when you select a keyword, you’ll have a few options. From here, you can build a Google “campaign” with past data and predictions. 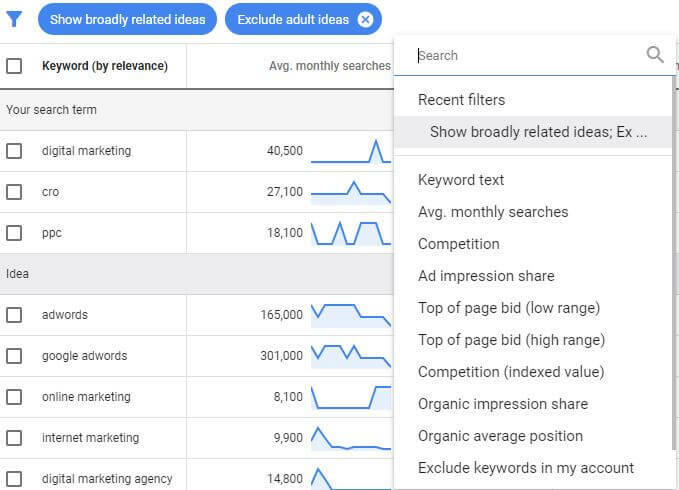 You can make different ad groups to organize your keywords, you can select the match type for the keyword, and you can even add it as a negative keyword to your plan. From start to finish, Google’s set up their keyword planner to guide you through seeing a forecast of new keyword performance. It’s designed to help make you more money by showing you a forecast of expected results. I see lots of green in your future if you use this tool -Google. As a note, Google did build this tool for its advertisers to use, so the majority of data offered is for people running ads for their business or for an agency to utilize for its client. Starting out, you’ll either type in that list of ideas that you have about your business to generate keywords, or you’ll enter in a list of keywords that you’re thinking about using but want more data on. If you chose to enter your list of ideas, you can either take the data Google offers and leave it, or you can continue on with the Keyword Planner and build out a test campaign – I guess they call it a plan. Once you select keywords that you’d like to add to the plan, you’ll be at the same spot as if you’d given Google a predetermined list of keywords that you were considering. That’s where I’ll take it from. Once you’ve selected your keywords and added them to your plan, you can hop down to the next tab, Plan overview. Of course, at the very top will be your plan settings where you can edit your locations, languages, and search networks. An interesting aspect to note is the date range that you can set up on this view. 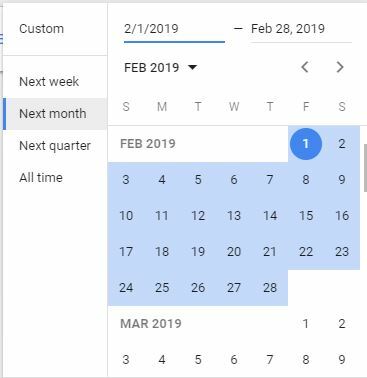 As the planner tool is specifically showing you forecasts, you can’t view any historical data in here, but Google can predict the next week, next month, and next quarter for you. After you set the date range, you can start to review the data. Google will tell you your estimated clicks, impressions, cost (at a recommended budget), CTR, CPC, and average position. If you have a conversion rate from your landing page, you can also enter it to display estimated results as well. You can also see the estimated keyword performance for CPC, clicks, cost, CTR, and impressions. Lastly, you can visualize performance on different devices and in different locations. As you actually run a Google Ads account, you’ll be presented with the same information on your account’s performance in the same manner on your dashboard. If you’ve organized your keywords into different ad groups and would like to see how they’d perform, you can drop down to the next tab and take a look. Here is where you can see how the ad groups perform with each other, change the max. CPC to see different data, and make decisions on whether or not to keep the ad groups. In this case, I can see that Digital Marketing will be taking more of the budget than the other two ad groups combined. So I can first try to drop the max. CPC to see if I like that data better (note that it does change the overall performance), or I can choose to remove it. If you’d like to see how each of the individual keywords would perform individually, then you can view that in the Keyword tab. When you view the table for the keywords, you can see what they are, their match type, the ad group, max. CPC, clicks, impressions, cost, CTR, and avg.  CPC. Changing the max CPC on an individual basis will update the data for that keyword, that ad group, and of course, the overall performance estimate. You can also add new keywords here, add negative keywords, and view the historical metrics for the keywords you’ve selected. The last bit of preview data that Google can show you is based on location. 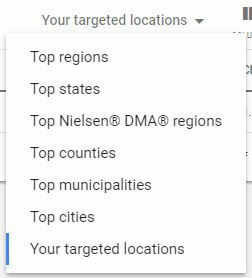 Depending on where you’d like to target, Google can show you the overall performance of your campaign in that location or in a breakdown of that location. For example, I have the United States as my targeted location, so Google is just showing me how my campaign will perform in the U.S.
Perhaps you’re now wondering, “but what’s the point of all this?” Sure, it’s great to see past data and predictions on how your account could perform, but is there any point of taking a lot of time to use the Google Keyword Planner? One neat little thing about this entire keyword planner is that in any of the actual planning tool parts, Google’s put a nice little blue button at the top that says, “create campaign”. It does exactly what it says. 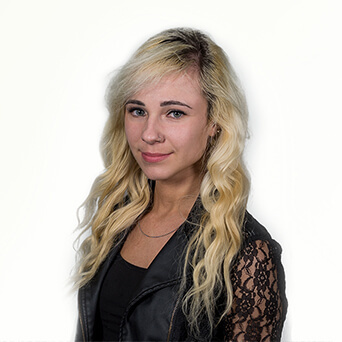 Once you have your campaign built out to the way you like to see it, and once you think that the data is what you’d like to see for the future, go ahead an click to create a new campaign. This pop up will appear where you can name the campaign and set the budget. If you’ve made it this far, good job. That was a lot to take in. Take a deep breath, because we’re not done. Some of you may be saying, “well this is great and all for people actually running campaigns, but you promised me I could use this for free!” Yes, yes I did. Let’s keep going. When you first type in your list of search terms in the Google Keyword Planner, you’re presented with over a thousand keywords. Some people argue that it’s not enough (because other keyword tools offer several hundred thousand keywords to look at once), but personally, a thousand keywords are more than enough. But with all these keywords presented to you, you may wonder “what’s actually valuable to me?” You can try a guess and check in the planning section and testing and comparing again and again. You can also go all-in and throw together a campaign based on the data you see and then run it. But unless you’re willing to spend a good share of money, you might want to double check the keyword value. Remember when we discussed the column metrics that you could view? One of the column metrics is top of page bid (high range). This metric shows you the higher range of what people have bid on certain keywords. The higher someone is willing to bid on a keyword to place it at the top of the page, the more conversions come from that keyword. This means those keywords will have higher conversion intent, hotter traffic, however you like to word this – there’s more of a chance of getting money back from bidding on these. Sort by high to low on top of page bid (high range) and start to look through the top keywords for valuable ones to pick. And if you’re thinking, “I’m not paying $312.08 for a click!”, remember that you don’t even have to bid for top of the page to get conversions. I mean, there’s not really a way for you to log into another company’s Google Ads account and peek at their bidding, their organization, etc., but there are certain tools that can help show you what they’re bidding on and how much they’re spending on ad spend. The Google Keyword Planner can make keyword suggestions from a website. For the sake of this example, let’s say you’re a restaurant that competes with Applebees. You can see from the start that you can include the entire website, the single webpage that you’re pasting in only, or see results for that website as a keyword. 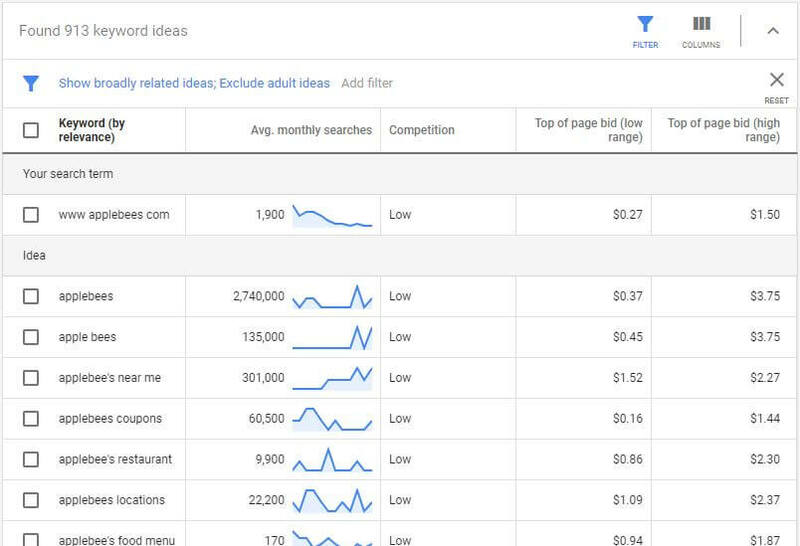 From there, you’ll hit search, and see keyword ideas for your competitor; this doesn’t guarantee that they’re bidding on these keywords, but if they’re smart, they’ll have taken a moment to look at this report. As you can see, a lot of the terms coming through are for the brand name. Simply apply a filter excluding the brand name to get more relevant to you search results. Now that’s super helpful and specific, eh? So here’s what you’ll do. You’ll start by adding the keywords that you want to see more information about to your plan; add them as an exact match. Next, hop on over to the Keywords tab. At the top is the box that shows the overall estimation for those keywords you’ve added. You’ll want to click the drop down, and raise the max CPC as high as it’ll go. Now take a look at the impressions column; it does tell you the estimated impressions that you’d get for the next month, and because the CPC is set to a high number, the impressions should be close to the actual monthly search volume. The Google Keyword Planner can be a great tool for your keyword research and planning. It’s great to use to test out campaigns and ad groups – after all, who knows Google search data better than Google? And that fact that you can build new campaigns right from the Google Keyword Planner is pretty neat too. Of course, we suggest using the SKAG structure for your account, which might not be the easiest set up in the keyword planner, but that’s a whole other can of worms. What do you use Google Keyword Planner for? Do you have any questions? Let us know in the comments!